JO-MÉ DANCE COMPANY - Boston GreenFest - Aug. 16-18, 2019 - FREE! The primary goal of Jo-Mé Dance Company is to enrich the lives of people of all ages, races and backgrounds throughout the United States and the world, through the art of dance. Our innovative and meaningful choreography inspires audiences emotionally and artistically, as well as by the sheer athleticism and skill of our dancers. Each unique body of choreography that Jo-Mé Dance Company presents explores a variety of important physiological, social, and psychological topics, taking it far beyond a mere display of visually stunning movements. Jo-Mé Dance Company strives to consistently provide an electrifying professional performance which leaves audiences moved and inspired regardless of their level of experience in the arts. As a multicultural organization, we proudly exemplify cooperative diversity, and promote cultural awareness within our company, community, and the world. Jo-Mé Dance Company currently includes highly talented individuals of many backgrounds and ages. Our continued growth in numbers and diversity allows our work to reflect a variety of cultural influences and perspectives. Furthermore, being a company comprised predominately of urban youth and young adults, we aim to abate negative stereo types through the impeccable level of skill and professionalism displayed by our dancers, and choreographers. In addition to shedding light on the incredible amount of talent that exists within the urban community, Jo-Mé Dance seeks to encourage self-esteem, discipline, and a positive body image, while creating a sense of family and belonging for all those involved with our organization. 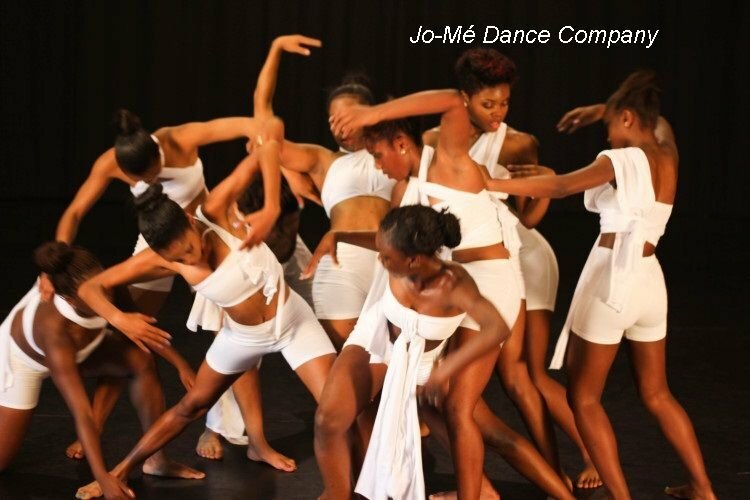 Click HERE to learn more about Jo-Mé Dance Company.